Life has been a hustle these days, and no one is concerned to take care of their health due to their busy lives. This has caused people to be unaware of the health issues and thus skip the routine checkups one has to undergo for maintaining good health. Diagnostic test results, including blood tests, inform approximately 70 percent of medical decisions making it important. Among the diagnostic tests, blood tests have a great importance because about 50 % of the conclusions in the medical report have arrived from the laboratory data. 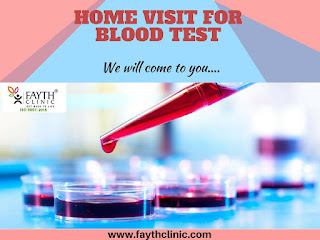 But many of the people find it difficult to reach out the laboratories to have a blood test nowadays either due to the busy schedules or due to any other reasons. Fayth clinic in Mumbai is here to help you with all your needs by reaching you at your homes. Yes, We, the Fayth Clinic, multi-specialty ISO 9001:20015 certified clinic has been providing the best diagnostic services and we are happy to continue our services to reach your home. You only need to browse through and purchase our diagnostic packages at our online portal. You can now fix an appointment with us to collect your blood samples and get your blood tested at the comfort and convenience of your homes. The result reports can be couriered, emailed or collected directly from the clinic depending on the convenience of the patient. Using this facility of ours can help the senior citizens when the traveling is difficult or when the patient is disabled or not in a position to travel. We can save your precious time and provide you with the most accurate results in stipulated time. Our team consisting of well equipped medical technicians are experienced and trained to handle the diagnosis with ultimate care and hygiene in the most sterile and unprolific surroundings. 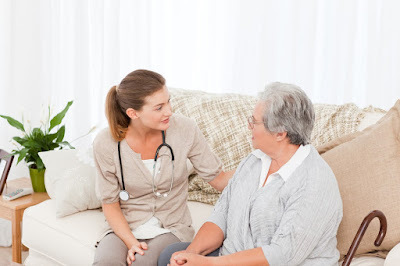 We provide the best opportunity for you to take care of your health without changing or adjusting your work-plans thus making it more easier and comfortable. We do care about your health as it is our responsibility!